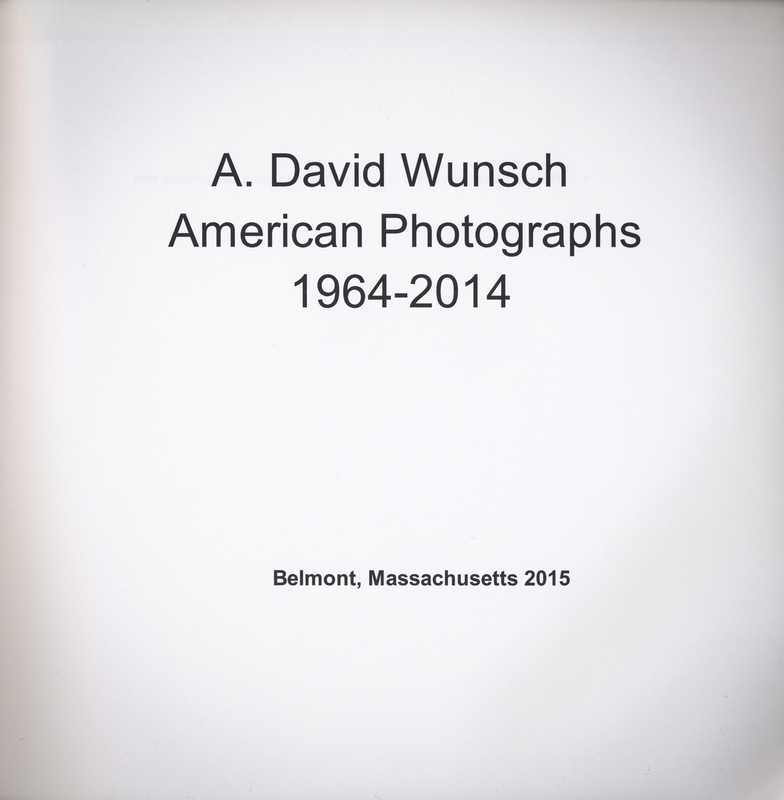 Someone chancing on this book at a yard sale or on a friend’s bookshelf might wonder who A. David Wunsch is..or was. I’m supplying here a few clues. I was born on December 15, 1939 in Brooklyn, New York to Helen Gellis Wunsch and Harry Wunsch. I was the first of their five children. My younger siblings, in order of birth, are Carl, James, Jerry, and Sarah; my parents had five children in 8 years. My maternal grandmother, Minnie Gellis, had separated from my grandfather in the mid 1930’s. When I was born she came to live near us in Brooklyn and visited our house almost every day to help my mother. We were an upper middle-class family living in a detached house in Flatbush at 1316 East 24th Street. My mother was unusual in our neighborhood: a Jewish woman from a small town, Claremont New Hampshire, who had, thanks to her father’s success and her own intelligence, graduated from a private university, Cornell. It was there that my parents had met in the late twenties. Thirty years after my birth my parents were to purchase a vacation home in Weathersfield, Vermont, across the Connecticut River from Claremont. The house remains in my family, half a generation after my parents’ death, thanks to my sister’s foresight and generosity. My grandparents were poor Jewish immigrants from Eastern Europe who came to America circa 1905. My father’s family had lived for a while, before emigrating, in or near Vienna and I like to think that an uncle or grandparent passed Mahler, Freud, or Stefan Zweig on the street before arriving here. But my ancestors were not of their social class and I doubt that there would have been an exchange of words. Wunsch means “wish” in German. If there was a family business in the males of my father’s family it could be said to be mechanical engineering. Harry’s eldest brother, Joe, studied that subject at Brooklyn Polytechnic Institute, which he managed to enter without a high school diploma. He started his own business, and pulled his family out of poverty, buying them a row house at 909 52nd Street in the Borough Park section of Brooklyn when he was in his mid 20’s. All 4 boys in my father’s family studied mechanical engineering. The youngest, Abraham David, was killed in an accident in 1935 while driving to Purdue University after his Christmas break in a car Joe had given him. I was named for him, and, like David, I favor my middle name. I own some of his college textbooks. In 1951 my father quit the business that Joe had started, and where he had been for 21 years, and studied the humanities and art at the New School in Greenwich Village. He probably had what would now be called a “mid-life crisis.” Two years later, when I was 13, we moved to Westport, Connecticut, an affluent town on what is sometimes termed the “gold coast” of Fairfield County. I spent three years in the local high school and then went to Cornell at 16 to study electrical engineering in a five-year program. I like to recall that Stieglitz had once studied engineering in Berlin. 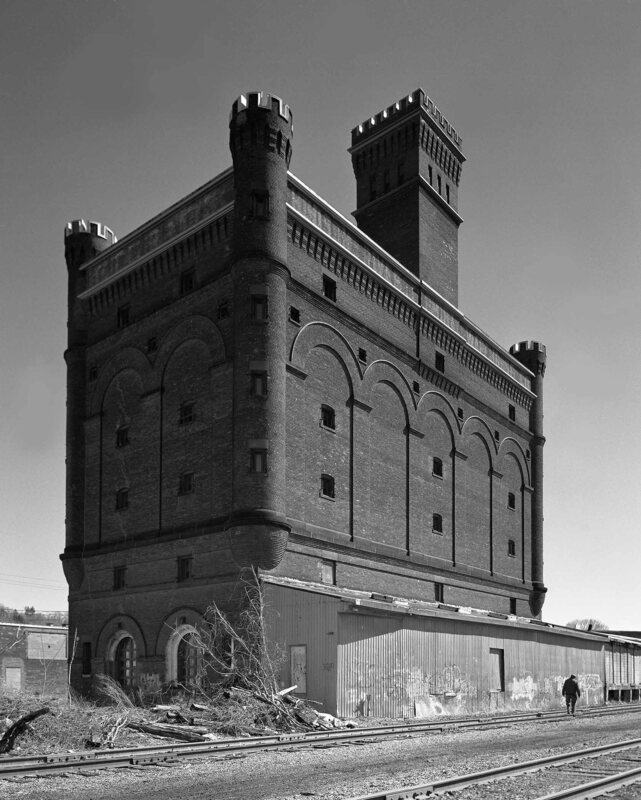 At Cornell, I think I had my first exposure to real photography although in my childhood I was brought to museums (The Brooklyn Museum, The Museum of Modern Art) and recall being drawn to Sheeler and Hopper. My father had saved the first issue of Henry Luce’s Life Magazine (from 1936) with Margaret Bourke-White’s famous cover depicting a dam, and that made an impression. Sometimes in the 1940’s he would bring home from work issues of Fortune magazine where I probably also saw Sheeler as well as Ben Shahn. My father had done some serious amateur photography and as I write this I can see a small Kodak view camera here in my study which he must have brought in the early 1930’s. I can recall his using this with a pack of sheet film, taking pictures of his children. He had developed his own film in the 30’s. My closest friend at Cornell was Michael Ossar, who was in many ways more sophisticated than I, and he owned a copy of Let Us Now Praise Famous Men, the landmark documentary book about tenant farmer families in Alabama. Walker Evans had done the photographs and James Agee the text. I still haven’t managed to read the entire book but for me the strength and directness of the photography was a revelation. Years later Evans signed my copy of the work. After a very shaky start at Cornell I managed to graduate with decent grades and a liking for the mathematical parts of electrical engineering. I decided to become a college professor and went on to Harvard as a graduate student in the Division Of Engineering and Applied Physics in the Graduate School of Arts and Sciences. I finished my doctoral thesis 7 years later. It was a long period of isolation where I often had little sense of my own creativity and it was then that I, in some way, was saved by photography. I must have recalled seeing Evan’s work earlier and I borrowed his book American Photographs from the Harvard fine arts library. This is a wonderful creation—one that I think has shaped my vision, along with my earlier exposure to Hopper and Sheeler. It appeared in 1938, the year before I was born, and contains an illuminating essay by Lincoln Kirstein. I’ve given my own book the same title as homage to Evans. You might notice that there are a few photographs in both volumes that were not taken in America. I became sufficiently committed to photography to purchase an expensive and good camera—a Rolleiflex—which uses medium format roll film. Bought at the now defunct Ferranti-Dege camera store in Harvard Square, it did give me a twinge of conscience. Just twenty years after the end of the war, I, a Jew, was buying a German made camera. We may have forgotten how Jews were once troubled by such purchases. I began taking adult education courses in photography and built my own small darkroom in my kitchen in Cambridge. By June, 1966 I felt confident enough to enroll in a 10 day workshop taught by a well-known photographer and teacher, Minor White. We met at his home at 203 Park Avenue, in Arlington, Massachusetts and would go on day long field trips, taking with us the 4 by 5 view cameras that he had borrowed from MIT. We would shoot Polaroid material and discuss our prints in the evening. I can’t say that I felt a great rapport with him. He was a white haired mystic, older than my parents; he looked at the world in ways that I disdained: astrology, the teachings of G.I Gurdjieff, Roman Catholicism, Zen Macrobiotics, Buddhism. He was simultaneously on various spiritual quests and spoke if heaven in a way that to me, trained in the sciences, seemed like an embarrassment. He was also almost the first homosexual person that I had knowingly ever met and I still was not entirely comfortable with an experience which might be compared to a Midwestern Protestant meeting his first Jew at age 26. But he took photography seriously in a way that I had never encountered before and–perhaps this was the Zen influence—he emphasized the importance of working slowly and carefully. I responded to his admonition “be still with yourself.” And I’m grateful to him for introducing me to the view camera, which is used on a tripod; a dark cloth is then draped over one’s head so that one can view the image cast by the lens on a glass sheet at the rear of the camera. Although it’s awkward to use at first it does slow one down and make one compose carefully. The following year I bought one foe myself. They were cheap then, perhaps 120 dollars without the lens, and American made. And I borrowed a lens off my fathers view camera. I was launched as a photographer. Minor (as we all called him) seemed to like my work and showed it I think twice at his Creative Photography Gallery at MIT in group shows. 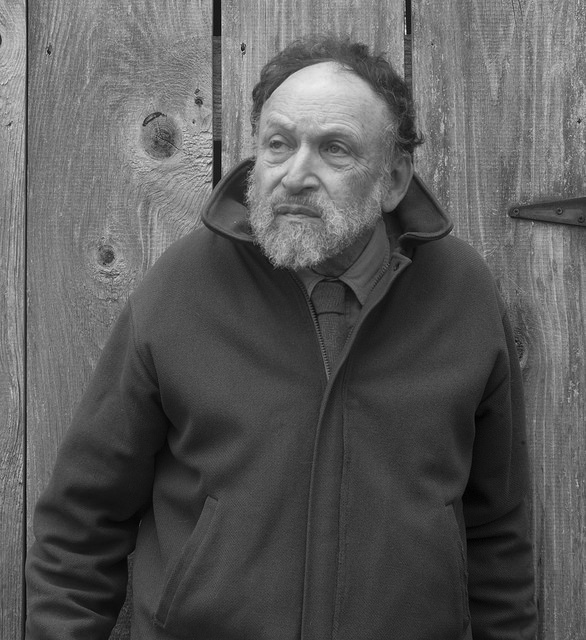 After his workshop ended, one of his protégés, Stanley Goldberg, started a photography discussion group that met at Minor’s house on alternate Sundays. Initially, most of the members were people who had studied with Minor. Later we left his house for the homes of group members and we met for a number of years at the apartment of Elaine Fisher in Cambridge. There is still a vestige of that group, gathering now 48 years later. Eric Myrvaagnes, Elaine and I continue to get together and show and critique our work. We first met in our mid-twenties, and we are, as I write this, all 75. When I had just turned 30 in 1969 I married Lydia Vickers, an illustrator, and a year later we had a son Aaron who is now teaching architectural history and historic preservation at the University of Pennsylvania. I became a faculty member in electrical engineering at Lowell Technological Institute, the year I married, and have been at the school ever since—seeing it change its name twice. I’m now an Emeritus Professor there. From the beginning, my marriage to Lydia was difficult, and we divorced in 1979. About this time I met Mary Morgan who was living in Cambridge. She was a staff member of the Laboratory of Computer Science at Massachusetts General Hospital in Boston. At first the meeting seemed unpromising—she was, and remains, practicing Catholic and I was a divorced Jew. But we married in 1984 and some 30 years later are perhaps puzzled at the enduring happiness of our marriage. We have a son Oliver, born in 1985, who is currently a doctoral student in art history at Harvard. I have never attempted to make photography my profession—I seldom take money for my work. For me it’s been “a fine and private place,” one which has given me sustenance for about half a century, a shelter where I could retreat when work on my thesis seemed unrewarding, and when my first marriage saddened me. I’ve also discovered as I’ve gotten older that I’m very sensitive to light—which is both a blessing and a burden—and the shrinking of daylight in the fall usually puts me into a depression, and I choose being outdoors with my camera as medicine. I have no illusions about my place in the medium. I haven’t made any kind of photographic history and rather than follow Pound’s advice to “make it new” I’ve endeavored to “make it good." Whether I’ve succeeded you must decide for yourself. I do think that everyone needs some kind of fine and private place on this side of the grave and the camera has brought me to mine.